Cron utility in Linux is used for scheduling tasks that can be run at specified time intervals. However, configuring cron jobs in Linux can be somewhat tedious because of its structure and troubleshooting them even more so. So these types of tasks can be simplified using an online Cron generator. To do this, go to Crontab Generator. It will have various options for scheduling. Simply select when and what commands need to be included in configuring cron. 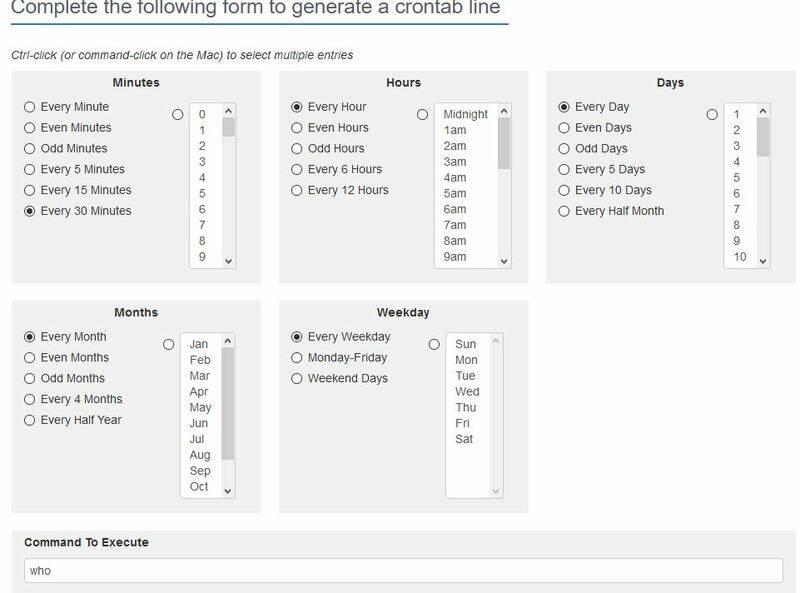 So, for example, a cron job that will display all logged in users every 30 minutes daily can be setup. This can be directly emailed too if needed. Choose the required options and click Generate Crontab Line. It will generate the cron configuration. The cron job will now be active and email the output as per schedule.